The Kimmel Center, owns, manages, supports and maintains The Kimmel Center for the Performing Arts, which includes Verizon Hall, Perelman Theater, Innovation Studio and the Merck Arts Education Center. The Center also manages the Academy of Music, owned by the Philadelphia Orchestra Association. 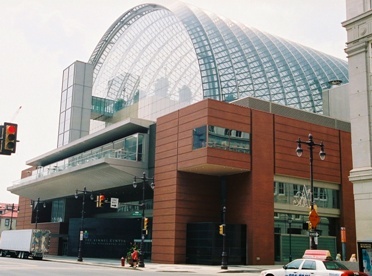 The Kimmel Center for the Performing Arts and the Academy of Music serve as home to eight Resident Company performing arts organizations, including The Philadelphia Orchestra, Opera Company of Philadelphia, Pennsylvania Ballet, Chamber Orchestra of Philadelphia, American Theater Arts for Youth, PHILADANCO, Philadelphia Chamber Music Society and Peter Nero and the Philly Pops. Planning for the center began in 1996, with the Philadelphia Orchestra's plan to build a new home. The center opened in 2001. The Center consists of Verizon Hall, a 2,500-seat concert hall and Perelman Theater, a 650-seat recital theater.